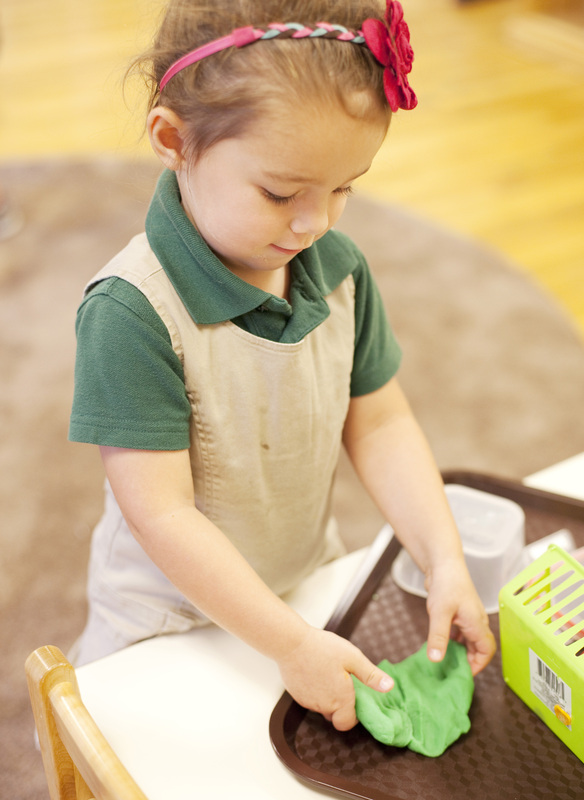 The Tree House Episcopal Montessori School curriculum is based on a process developed by Dr. Maria Montessori. A respected Italian physician and educator, Dr. Montessori began her educational journey over one hundred years ago. She was convinced that with appropriate techniques she could make a real difference in the way we educate children. 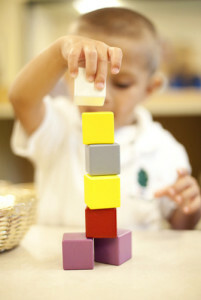 The Montessori Method is based on careful observation of what children revealed about their developmental needs. Through observation and study, Dr. Montessori recognized that children learn best through play and by developmentally appropriate activities which provide avenues for learning. The Montessori Method aids the child’s development into a complete adult human being; comfortable with himself, and with humanity as a whole. In a Montessori environment the children are provided with the materials they need and the freedom to use them to manifest their tendencies to explore, to repeat, and to master. The Montessori classroom is a ‘living room’ for children. This environment is set up as a bridge between the home and the wider world. Children choose their activities from the beautiful, self-correcting materials displayed on open shelves that allow the child to learn through their senses. This approach is focused on giving support to the natural development of the human child. A child is a gift from God that learns best about his world through experimentation and exploration. A child’s own awakened love of discovery and learning will stimulate his or her own education. This foundation will enable children to acquire more specialized knowledge and skills throughout their school career.